Edgecombe Community College is a comprehensive two-year institution dedicated to fulfilling the educational, training, and cultural needs of the communities it serves. In keeping with this mission, the College has developed a Quality Enhancement Plan (QEP) to improve retention and progression of students new to college, between the ages of 19-39, who are enrolled in 12 or more credit hours (full time) in the fall semester. The QEP will focus on the full implementation of Starfish through an Early Alert System and will incorporate expanded tutoring services as strategies for our QEP. This initiative is called Start. Stay. Finish. A QEP Core Committee, composed of administrators, faculty, staff, and students, was formed in January 2017. The QEP committee conducted a search for a topic through a wide variety of methods: brainstorming sessions, reviewing the latest State Performance Measures for Student Success, and surveying all College personnel, students, and business community constituents. One theme that surfaced consistently was the need to improve student success through better communication and enhanced supplemental instructional services. The emphasis of our topic grew out of an institution-wide discussion about what we could do better at ECC that was focused and student-centered. Upon review of the findings from the QEP research subcommittee and with a realistic consideration of sufficient human, financial, and physical resources, it was determined that ECC will focus on the full implementation of Starfish through an Early Alert System and incorporating expanded tutoring services as strategies for our QEP. When fully implemented, an Early Alert System will enable College personnel to monitor and intervene with appropriate services to keep students in college and help them progress toward graduation, including expanded tutoring services. 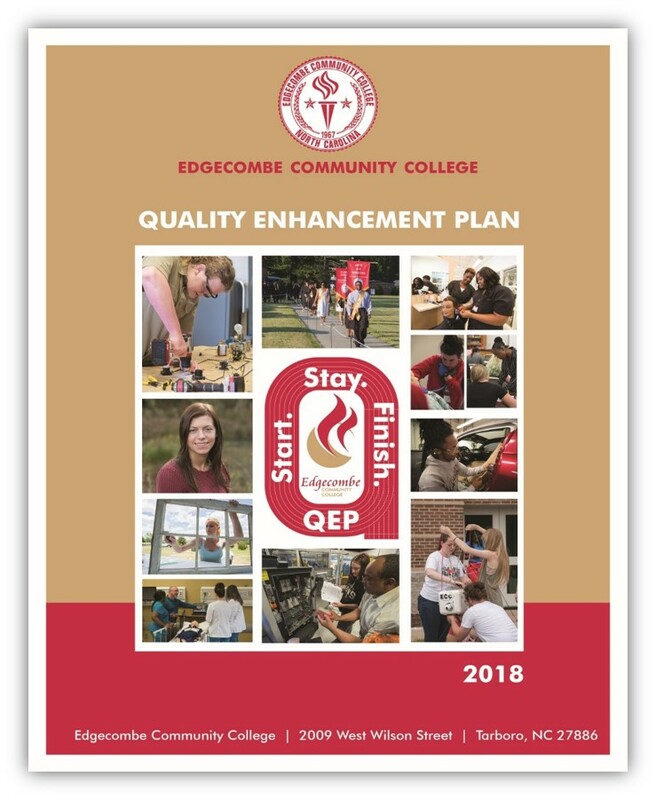 With these initiatives, Edgecombe Community College’s Quality Enhancement Plan is therefore designed to improve retention and progression, leading to college completion and student success through Start. Stay. Finish. Quality Enhancement Plan – Start. Stay. Finish.